A variety of boating projects have been accomplished throughout the Division of Sport Fish southeast region, which is comprised of the Ketchikan/Hyder, Prince of Wales, Petersburg/Wrangell, Sitka, Juneau, Haines/Skagway, and Yakutat management areas. Click on the project links below to see specific project information. The Southeast Alaska Harbor Directory is now available at the Alaska Department of Fish and Game, Sport Fish, Ketchikan Office. 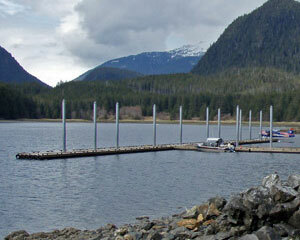 This directory provides basic information for various harbors throughout Southeast Alaska.